The ‘list’ view removes the display of images and arranges tweets in stacked rows. 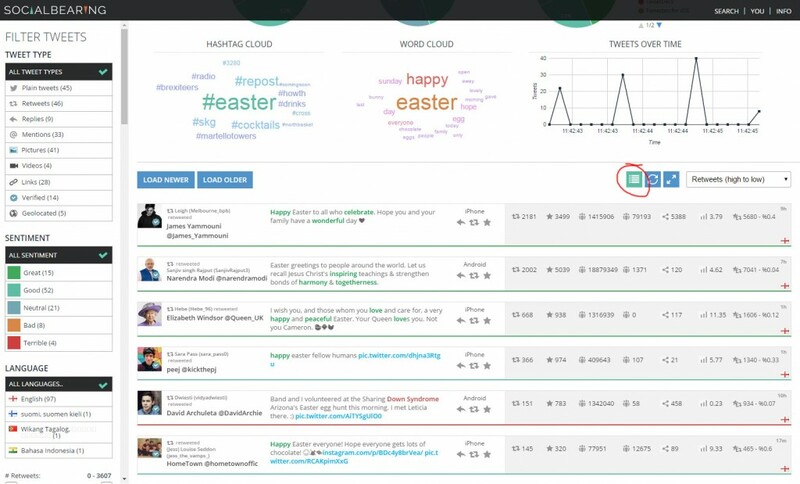 This usually allows more tweets to be viewed on screen at once and makes it easier to view tweets when sorting by metrics such as retweets, reach and engagement rate. Please clarify what time zone does the tweets over time graph use..